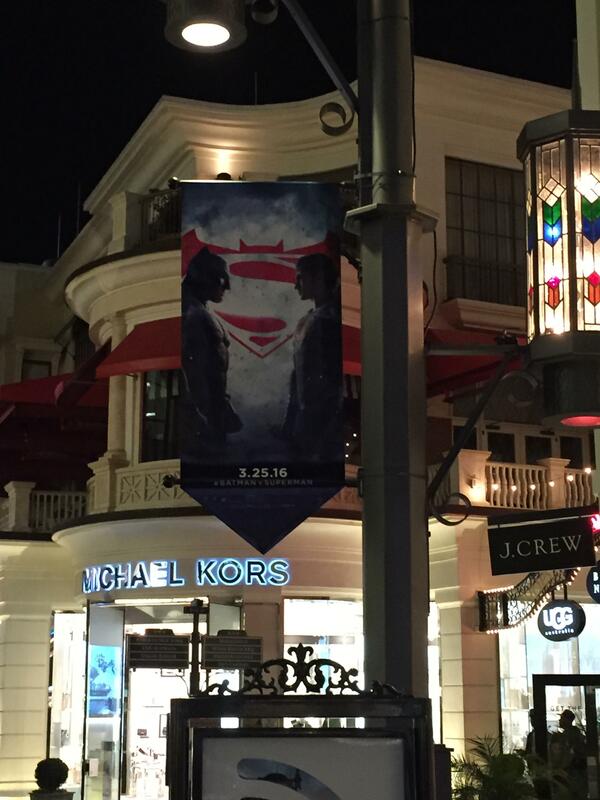 The Batman v Superman promo is in full swing, and it's taken over The Grove in LA! 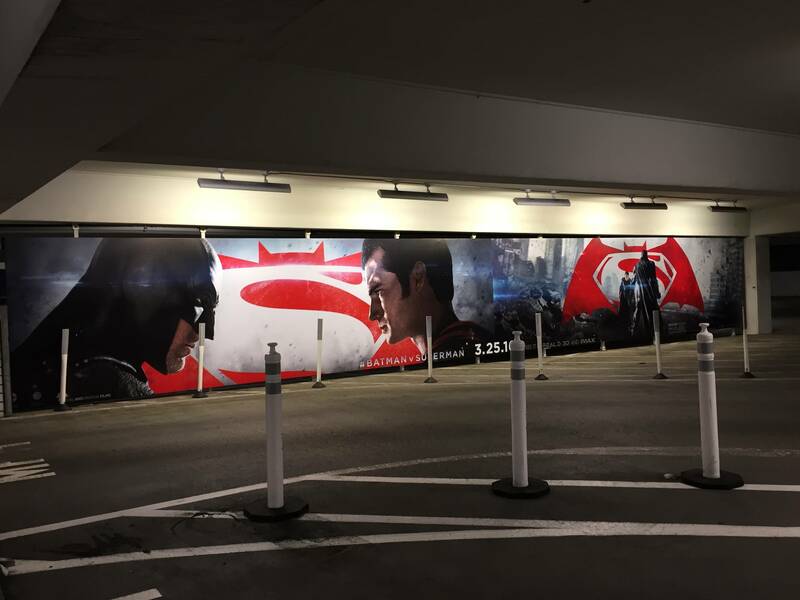 From the minute you drive in, you're welcomed by a really cool display that includes a first look at Lois and Alfred's posters. 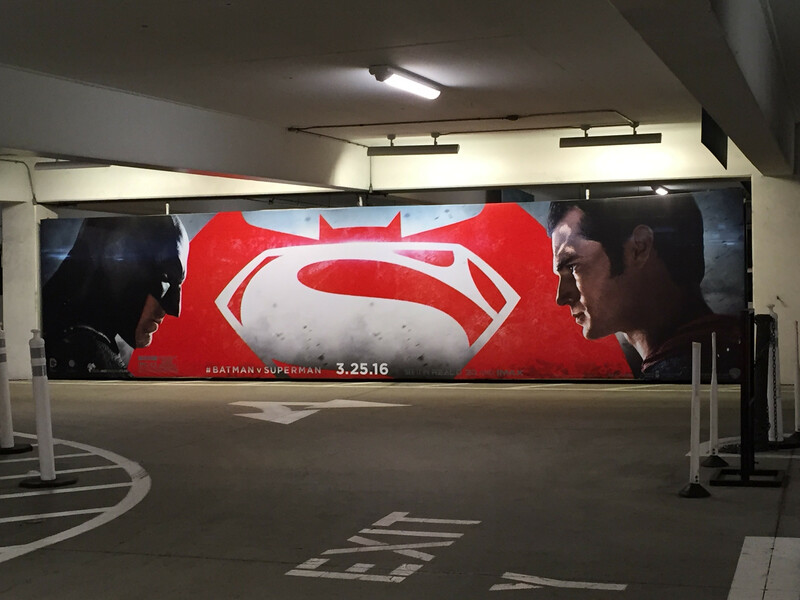 The garage snakes up several floors, and as you drive up Bats and Supes greet you at every turn. 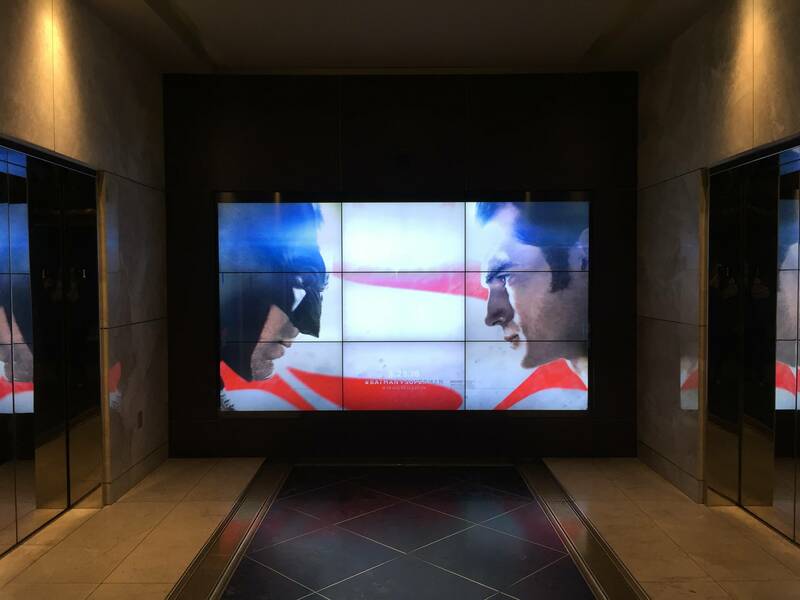 The elevators have this moving display as you walk up.. They're everywhere! 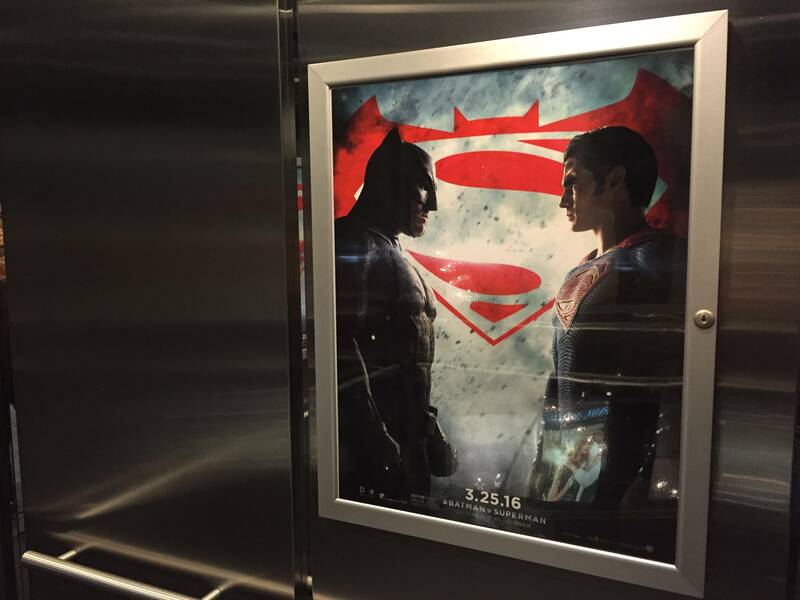 @BatmanvSuperman at @thegrovela elevators. 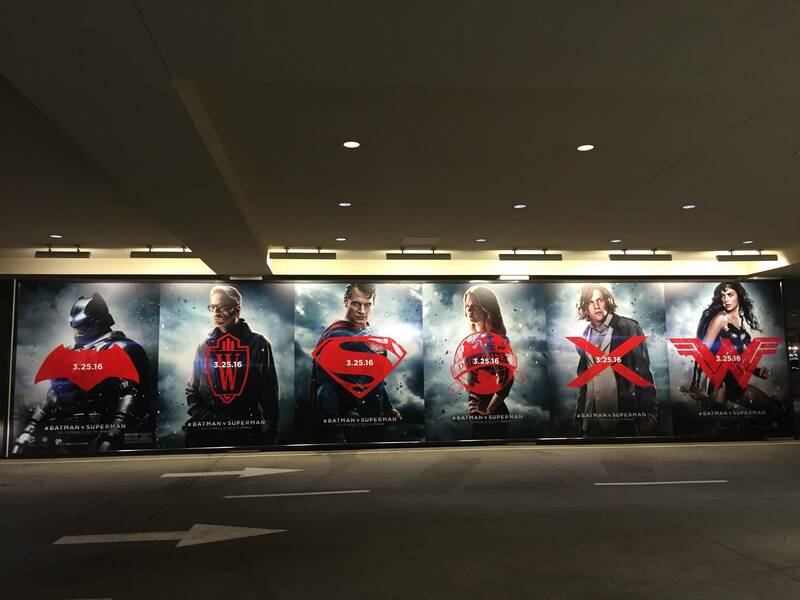 #Buzz #Superman #Batman #DawnofJustice #BatmanvSuperman #ManofSteel #ClarkKent #JusticeLeague #HenryCavill (sorry about the flash frame). 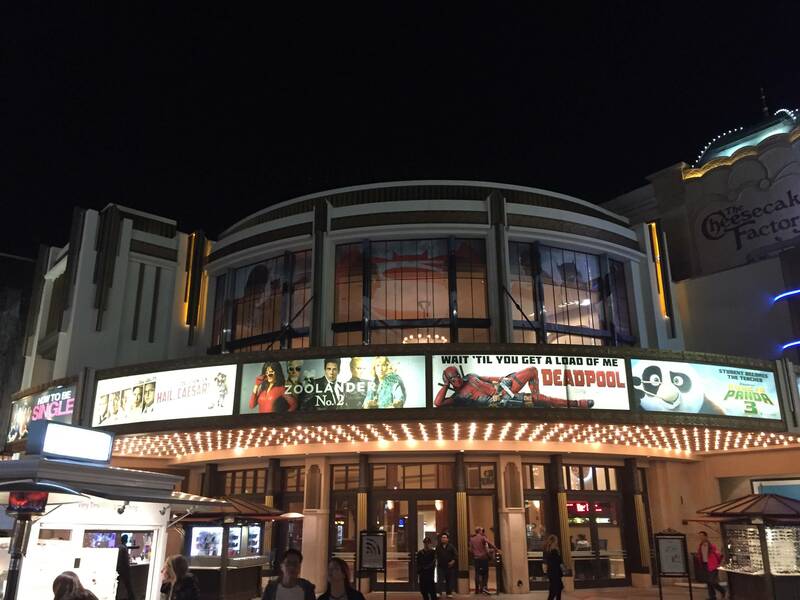 And Henry and Ben are there to welcome you inside! 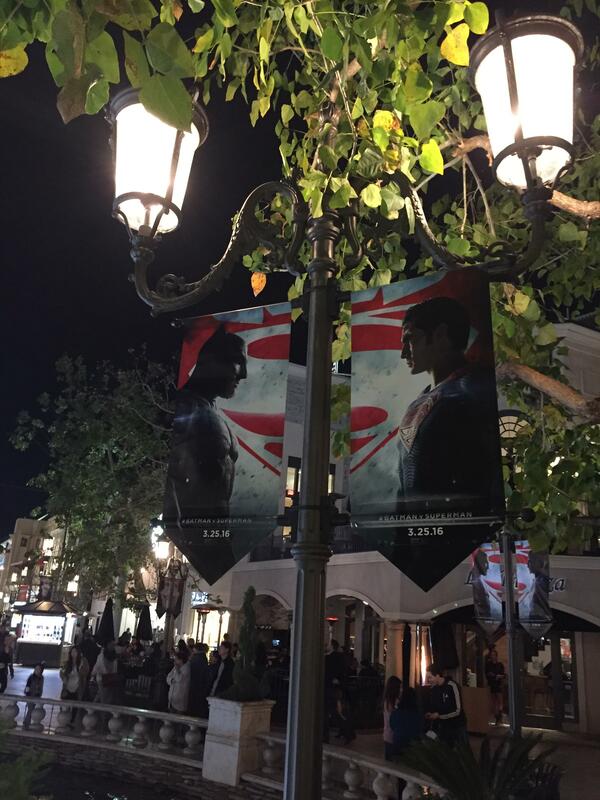 Once you start walking around, you find the banners all along the main area of The Grove.. basically Batman v Superman heaven. 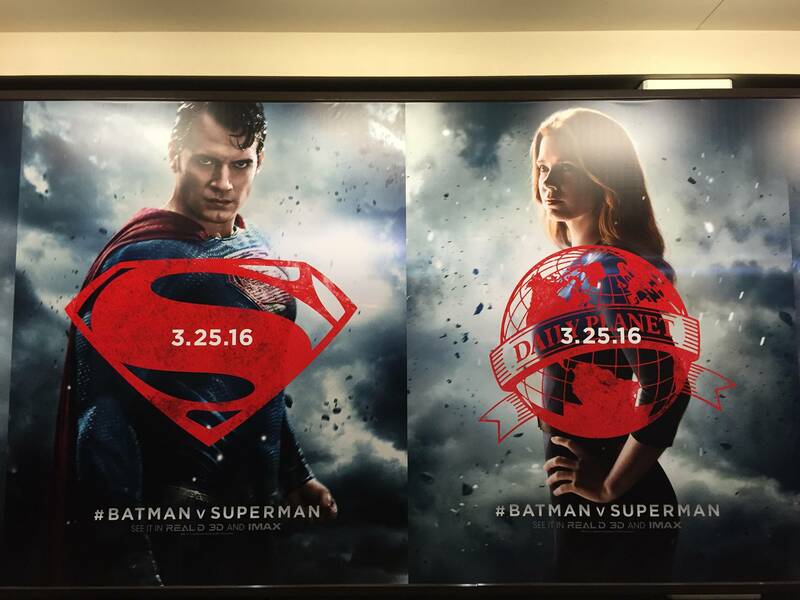 We'll go back to get some dayside shots of this display at the theater, but we wanted to give you a preview. 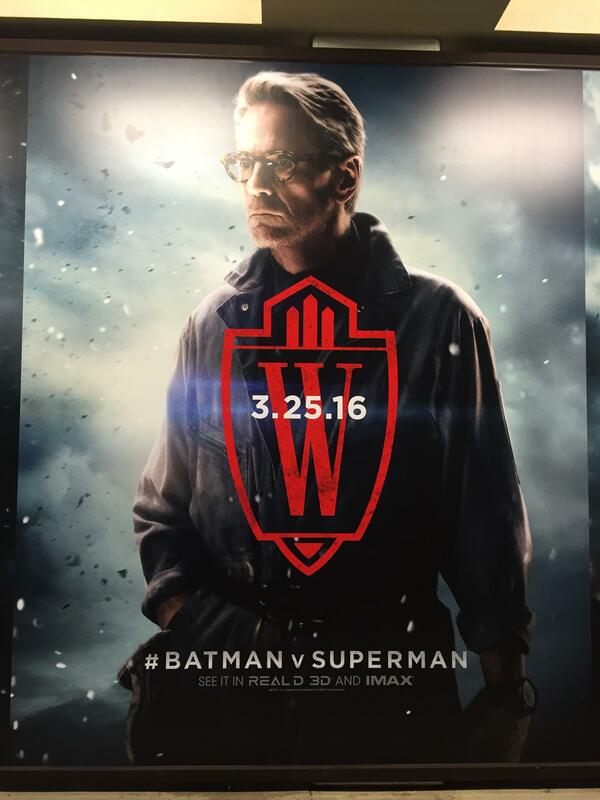 Finally, here's a closer look at the Lois and Alfred posters that we hadn't seen before. 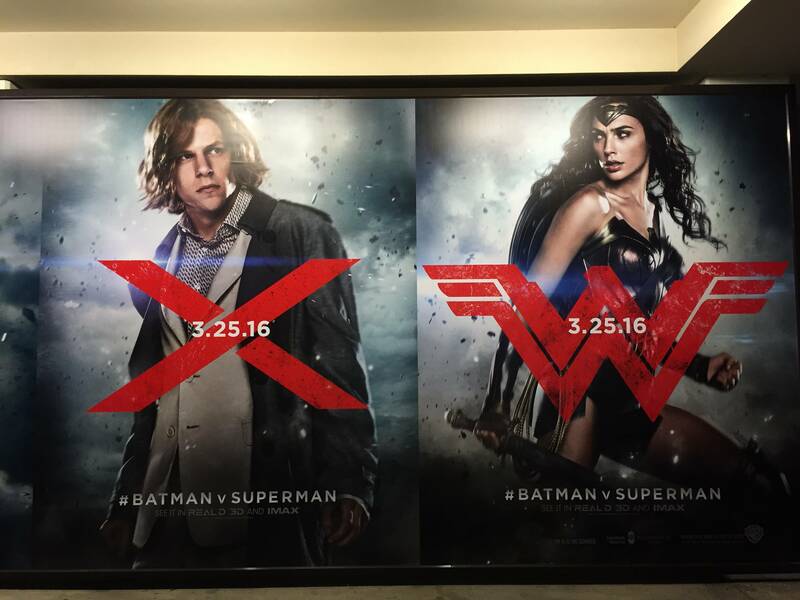 We also got a clearer glimpse at Lex and we love the fact that Lois and Supes are next to each other. 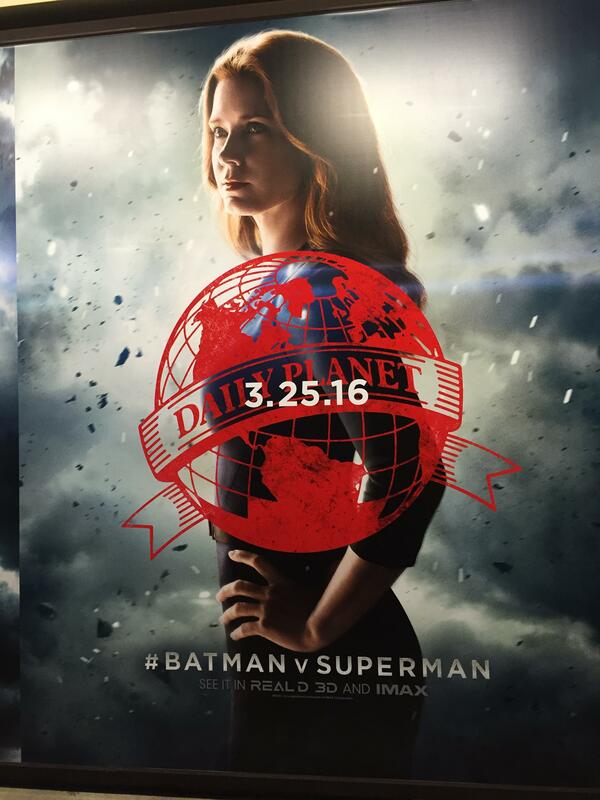 Amy Adams as Lois is fabulous. She is so talented!